PEN America received excerpts from a private letter that Ukrainian filmmaker and writer Oleg Sentsov sent through his lawyer to his cousin Natalia Kaplan from prison. Oleg is in critical condition. 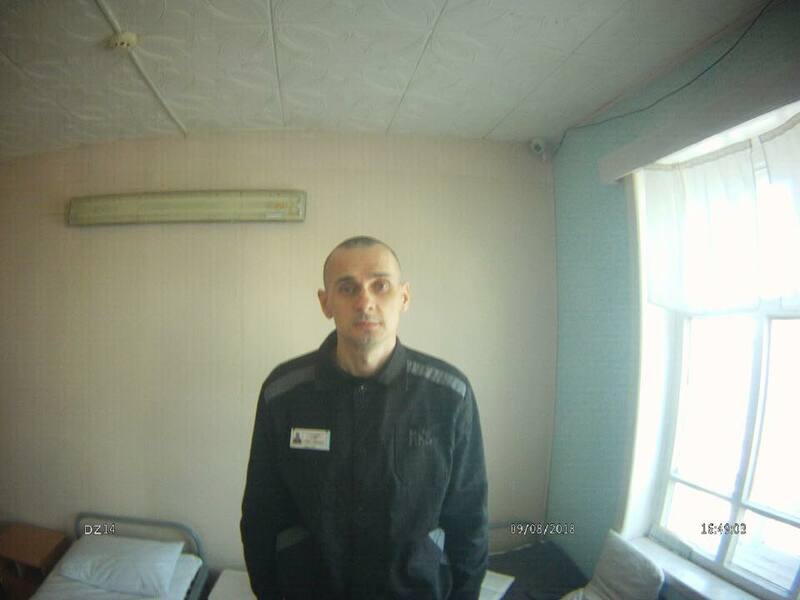 According to his lawyer Dmitry Dinze, Sentsov’s pulse is 40 beats a minute and he is almost unable to stand anymore. In anticipation of the 90th day of his hunger strike, we encourage everyone to tweet about Oleg Sentsov asking for his immediate release. Oleg is near death. He thinks no one is supporting him and advocating on his behalf because he hasn’t received any outside communication during his imprisonment. His spirit and strength are dwindling after three months of starvation—not on behalf of his own case but on behalf of all the political prisoners he is suffering along with in prison. He is a dad. He is a son. He is my cousin. He hasn’t had the opportunity to show the world all that he is as an artist. His time on the outside was cut short. Russians have to immediately release Oleg and save his life. Please keep him in your prayers.